A fallen tree blocked all lanes of Tice Valley Blvd. near Olympic Blvd in Walnut Creek Friday night. A fallen tree is currently blocking all lanes of Tice Valley Blvd. near Olympic Blvd in Walnut Creek Friday night. The tree fell at 1700 Tice Valley Rd and it reportedly took power lines down with it, affecting one resident. 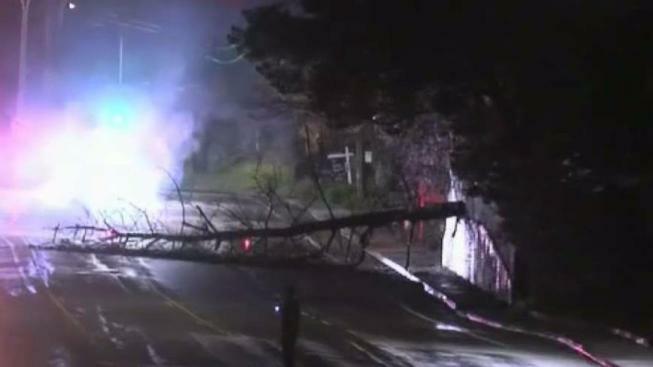 PG&E crews are on scene cutting away the tree and restoring power. They hope they can complete the job by midnight.